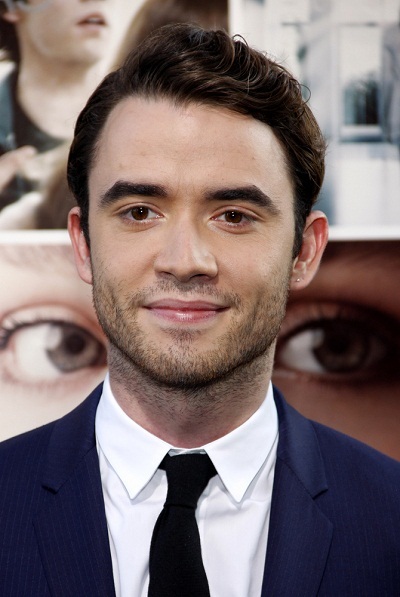 Jamie Blackley is a British actor. He was born in Douglas, on the Isle of Man, and was raised in south London, England. He has English and Irish ancestry. Jamie’s patrilineal line can be traced back to his great-great-great-great-grandparents, James Blackley, who was born, c. 1780, in Kent, England, and to James’s wife, Sarah Ruff. Jamie’s paternal grandfather was Frederick Blackley (the son of Alfred George Edwin Blackley and Elizabeth Flora Molineaux). Frederick was born in St. Olave Bermondsey, London. Alfred was the son of Alfred Blackley and Sarah Sear. Elizabeth was the daughter of Stephen Molineaux and Elizabeth McDonald. Jamie’s Molineaux line has been in England since at least the late 1780s, and most Molineaux families have been English since at least the 1500s. Jamie’s paternal grandmother was Irene Frances Hay (the daughter of Edward Robert Hay and Frances Ada Durnford). Irene was born in Greenwich, London. Edward was the son of John W. Hay and Catherine Stewart. Frances Durnford was the daughter of Ernest Alfred Durnford and Emily Margaret King. Jamie’s maternal grandparents are possibly Arthur McCourt and Jean F. Ball. What do you mean for “from Morocco”? He does not look Moroccan at all.